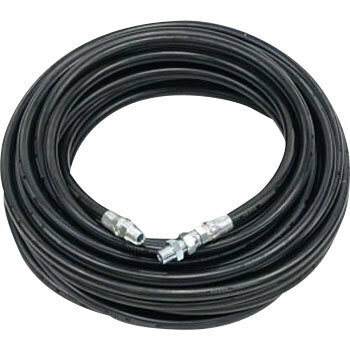 We can provide various kinds of high pressure hoses for several industrial uses, such as standard hoses and large bore hoses for oil piping, high pressure hoses for gas piping, and high pressure steam hoses. 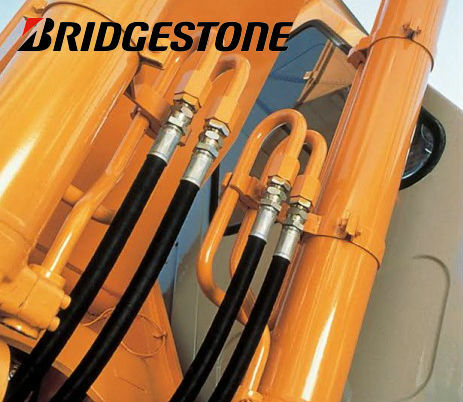 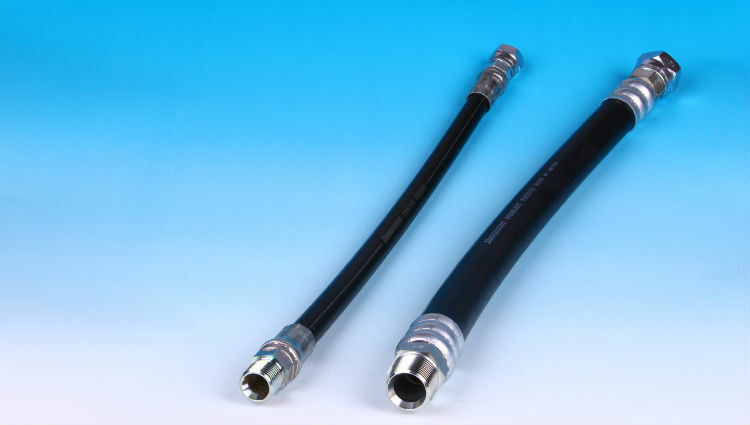 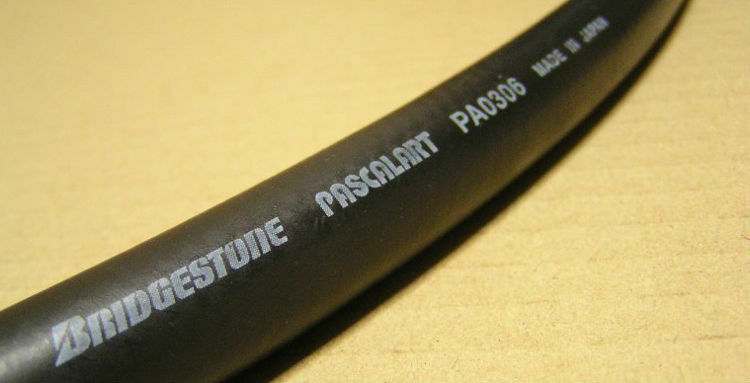 Bridgestone hydraulic hoses have been used in different industries as component of heavy machinery and other industrial equipment. 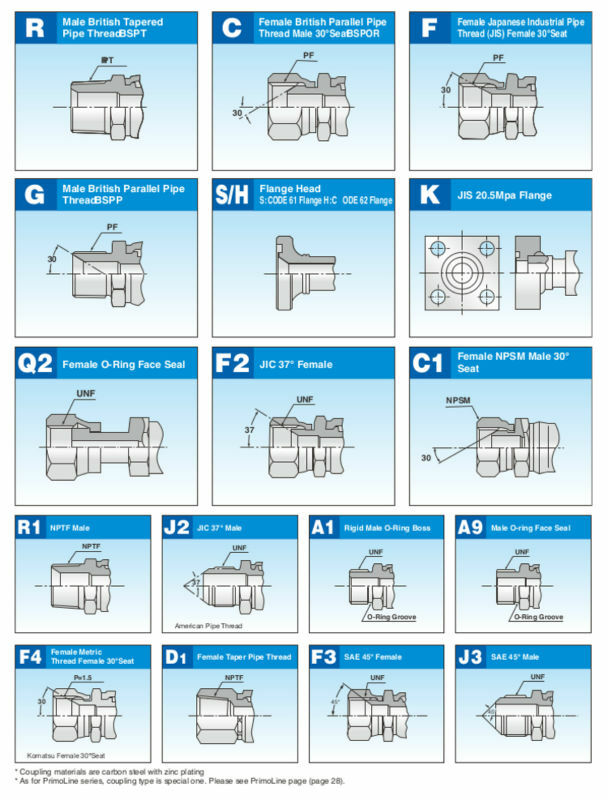 The following is a list of metal fittings and coupling combinations combinations used in high pressure hoses. 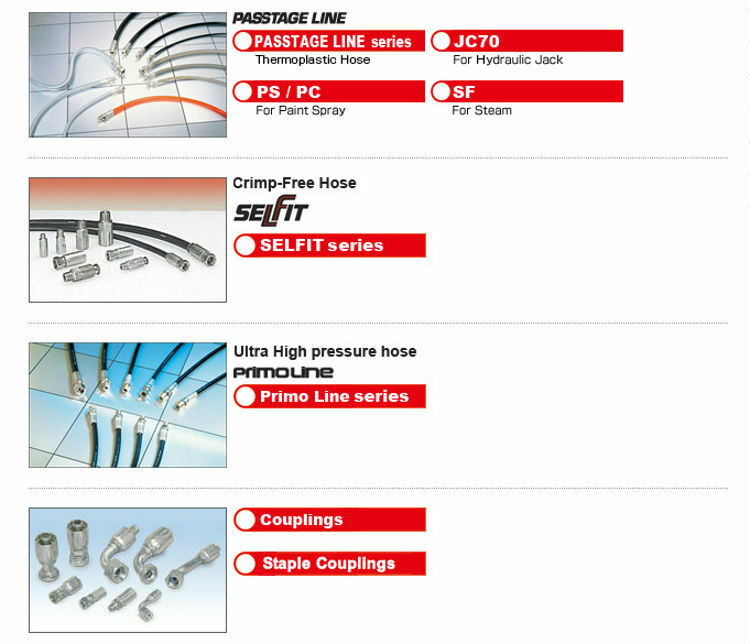 Other adapters for use with various types of high pressure hoses can be also supplied. 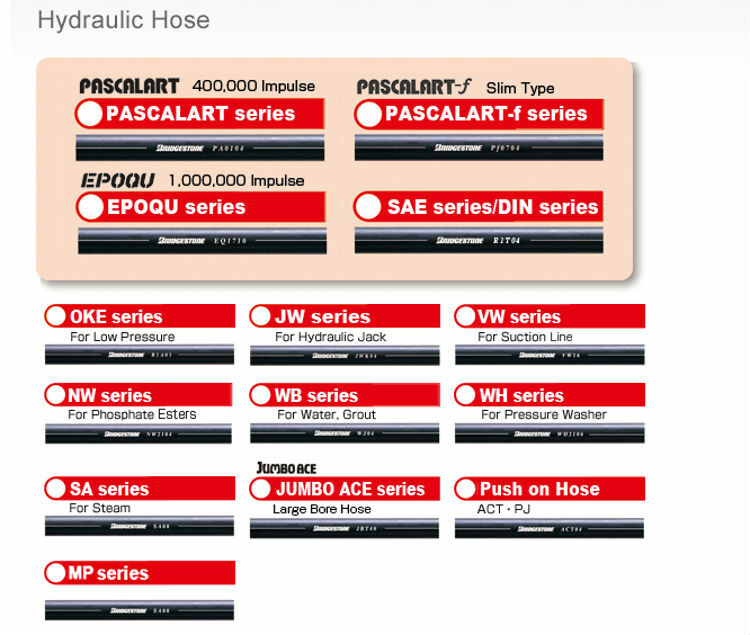 Please, note that the fitting and couplings are attached to both ends of the hose. 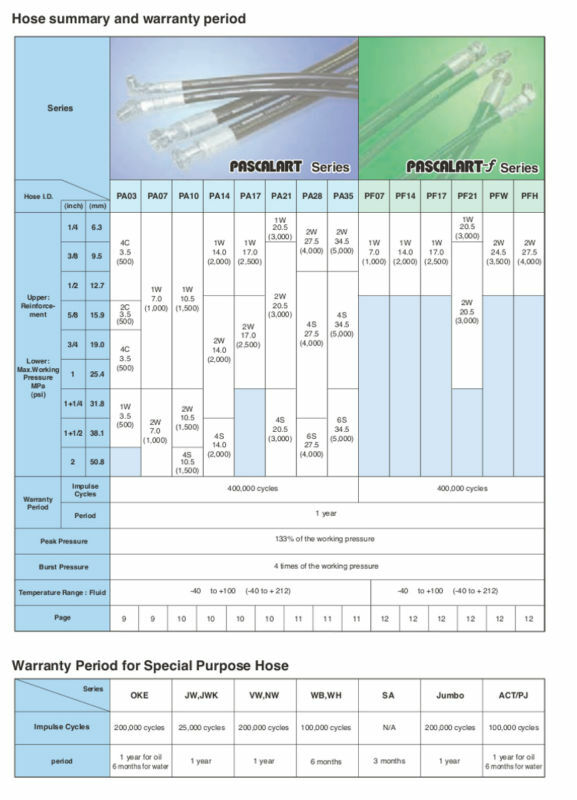 We can prepare this in advance, as shown below, at your request. 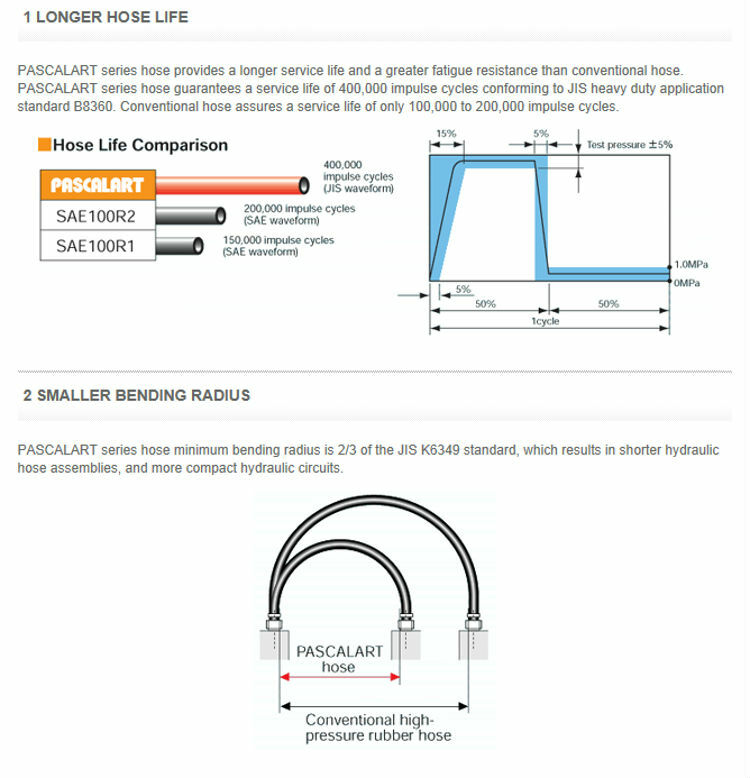 Please, feel free to contact us if you have any question about the above products.